PokerStars´ new “Surprise Bonuses” promotion was launched in France this week, but not everybody has been pleasantly surprised with the clearing requirements. PokerStars´ new “Surprise Bonuses” promotion is an opt-in promotion in which players are offered poker bonuses based on their previous action at the tables. Each player who opts in is given a bonus amount and the number of VPPs they have to earn in a fourteen day period to clear the bonus. 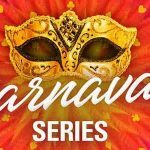 The bonus amounts and the clearing requirements are calculated according to whether the player is a full-time grinder or part-time recreational player, the stakes they play at and the type of games they have historically played. This is done using “big data” which analyses the behaviour of players on PokerStars.fr. 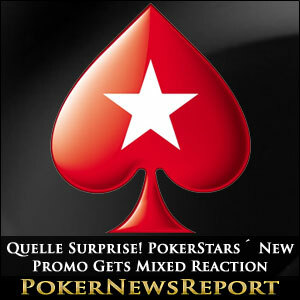 Unlike most bonuses on PokerStars, the surprise bonus amount is released in one hit – not incrementally – and this has caused some consternation amongst French players who opted into the promotion and then got not so pleasantly surprised by how many VPPs they were asked to collect over the next fourteen days. From what has been reported so far, the bonus amounts and clearing requirements have been calculated to stretch players a little and encourage them to put some extra volume in at the tables; but there seem to be some wide variations concerning what players are being asked to achieve. Here is just a selection of surprise bonuses that have been published on the French poker forum “Club Poker”. As is apparent from the list above there is a wide fluctuation between what players are being asked to achieve both at the top and at the bottom of the scale, and French players have flooded PokerStars´ customer service with complaints. Some of the players have had their VPP targets reduced, but for a smaller cash bonus. “BatMax” wrote to PokerStars to complain that he had been allocated a €500.00 bonus with a clearing requirement of 45,000 VPPs and had his bonus reduced to €450.00 with a proportionately smaller clearing requirement of 33,000 VPPs. “PokerisDead” complained about his €500.00 bonus which had a 31,500 VPPs clearing requirement, and had his bonus reduced to €370.00 for 22,000 VPPs. 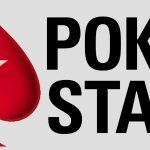 In total PokerStars revised more than 2,000 surprise bonuses, but some players were still unhappy – claiming that they would have to put in five times their normal volume to clear the bonus. Others claim to have cleared their bonuses already (albeit for smaller amounts), and MTT players seem to have come off best in this promotion – having lesser bonus clearing requirements calculated on their MTT action, and then being able to put in a few hours on the cash game tables to earn VPPs at a much faster rate. It has been speculated that the “Surprise Bonuses” promotion is being tested out ahead of PokerStars moving into casino games and sports betting. By using big data to analyse betting actions, PokerStars will be able to offer customers targeted, personalised promotions to increase player retention and – on the basis of the French experiment – generate more volume. However, before rolling out this experiment to other platforms, the “Surprise Bonuses” promotion is going to need a little adjustment. 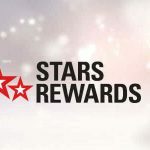 It is all very well for PokerStars to give away free money (and believe us, we are grateful for it), but if the clearing requirement remain pie-in-the-sky for the majority of players, it will cause ill-feeling and possibly drive players from the site to a competitor with more achievable bonuses.